Choose the best in Barrie for your heat pump repairs. When it comes to heating and cooling, the absence of either is always a nuisance. Whether you are in need of a way to keep your area warm or cool, having an issue with your heat pump can be stressful. Here at L&B Mechanical, we understand that when your heat pump is having problems, you are in need of heat pump repairs as soon as possible. We have been helping our friends in Barrie, Ontario for many years concerning heat pump repairs, and we would love to help you, too. When you ask L&B Mechanical to assist you with a heat pump repair, you can feel confident that our team knows what they’re doing. We have years of experience working with all kinds of commercial HVAC systems. This enables us to quickly and effectively find the problem and make the correct repairs. 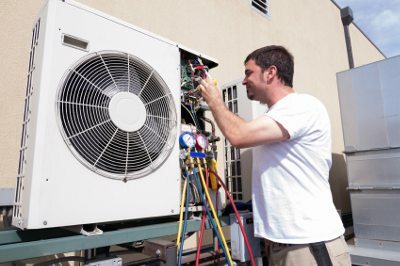 Since your heat pump is responsible for both heating and cooling your space, it’s of the utmost importance that you get a quality repair that will last. In addition to our experience, you’ll love that our team offers emergency services to our customers. While many companies offer after-hours services, our assistance is available to you 24/7, making it possible for us to assist you with a heat pump repair, no matter what time of day or night you have a problem. We don’t ever want you to feel stranded if your heat pump is in need of repairs outside of regular business hours. Many of our customers work odd and long hours, which means we do, too! If you would like to learn more about our heat pump repairs, please contact our team today.